skinny cats, shuttered windows and stone streets as wide as voices. an edible dedication to the sticky underbelly of another past. Amanda Joy is a poet, sculptor, installation artist and songwriter born in the Kimberley region of Western Australia. She currently lives, works and gardens in Fremantle and travels as often as she can. 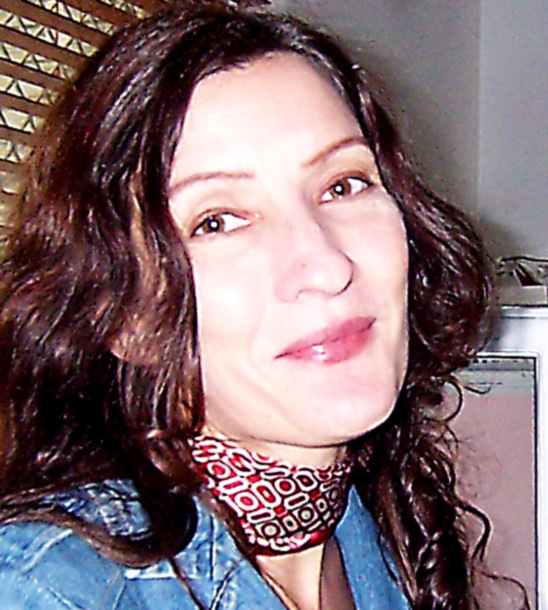 Her poetry has been published in various journals online and in print such as Cottonmouth, Up The Staircase Literary Review, Killpoet, Fragile Arts Quarterly, Black Rider Press, Another Lost Shark, Heroin Love Songs, The Toronto Quarterly, Black Listed Magazine, Speedpoets and The Best Australian Poems 2009. She has a fascination with portals and conduits and every now and then she pops out a little limited edition illustrated chapbook for those who ask nicely. A tiny, yet sincere chapbook of her poetry, Not Enough To Fold was lovingly published through Verve Bath Press early this year. A more sizeable binding of her wordage, In Hand will be released in the U.S. in April. She blogs her poetry semi regularly at her website www.littleglasspen.com and www.myspace.com/amanda_joy1970. Keeper of a dog called Love, her heart still beats like small pink feet on red earth. The imagery is so fresh you can taste it. Wow.